Republican Senator John McCain speaks during a news conference in Jerusalem on January 3. The Arizona Republican Party formally censured Sen. John McCain late Saturday, citing a voting record they say is insufficiently conservative. McCain spokesman Brian Rogers declined to comment on the censure. But former three-term Sen. Jon Kyl told The Arizona Republic that the move was "wacky." Kyl also defended McCain's voting record as "very conservative." 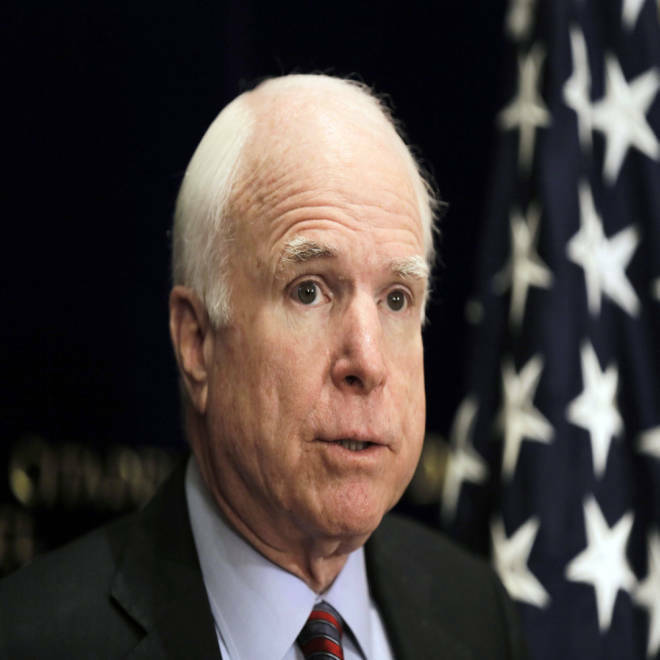 McCain isn't up for re-election until 2016, when he will turn 80. He announced in October that he was considering running for a sixth term. Fred DuVal, a Democrat who plans to run for Arizona governor, called the censure an "outrageous response to the good work Sen. McCain did crafting a reasonable solution to fix our broken immigration system."